Travelling south on the M1 Gateway Motorway, take Lytton Road Exit heading towards Murarrie. Turn right onto Lytton Road and take the first left onto Queensport Road. 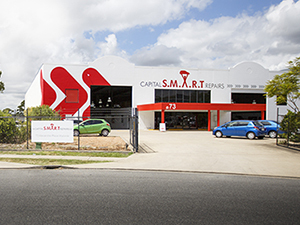 Take your first left onto Alexander Place, follow the road all the way along, past the bend, until you reach a round-about where the S.M.A.R.T Centre is located on the left. When dropping of your car enter the first roller door on the left hand side of the workshop and park in the dedicated assessment bay.